This year more than usually, if you want straight talking about the state of the economy and its prospects, listen to the econocrats not the election-crazed politicians. Late last week, Reserve Bank governor Dr Philip Lowe had more sensible things to say in three hours than we usually get in a month. He was giving evidence to the House of Representatives standing committee on economics. For a start, he left little doubt about his disapproval of the way the two sides are turning the election campaign into a bidding war. It’s clear the reason the election is being delayed until May is so Scott Morrison can use the April 2 budget to announce tax cuts in addition to the three-stage, $144 billion-over-10-years cuts he announced in last year’s budget. He’s upping the ante not just because he’s behind in the polls, but also because Bill Shorten is promising to make the first-stage cuts about twice the size of Morrison’s. And big increases in spending on health and education. Plus Shorten is claiming he’d have bigger budget surpluses. How? By reducing tax breaks used mainly by higher income-earners. The risk, however, is that Labor could get locked into cutting taxes and increasing spending, but not be able to get its revenue-raising measures through the Senate. What would be worrying Lowe is that, just as we’ve come within sight of returning the budget to (tiny) surplus – but before we’ve made any progress in repaying the huge debt successive governments have racked up over the past decade – both sides have declared Mission Accomplished and started promising tax cuts galore. Lowe said we should be running big budget surpluses and cutting back the debt as a sort of insurance policy against the next downturn in the economy – which he doesn’t see happening in the next year or two, but will happen one day. Consider this. When the global financial crisis hit in October 2008, Lowe’s predecessor acted to protect us from the tsunami by cutting the official interest rate by 4 percentage points in about as many months. Trouble is, we’ve since entered a low growth, low inflation world, and interest rates have remained low. The official interest rate is just 1.5 per cent. So the central bank has little scope to stimulate the economy the way it did last time. In that case, the government should use its budget to stimulate the economy by splashing cash, spending on school playgrounds and the like. See the problem? We won’t have much scope to do that, either, if we’ve been so busy awarding ourselves tax cuts that we’ve made little progress in reducing all the debt we’ll be starting with. Moving on, Lowe said the economy’s two main worries were the weak growth in wages and falling house prices. But he stressed that wages and household income were far more significant than house prices. If you were thinking it was the other way round, that may be because the media have misled you. “It’s largely the income story which doesn’t get talked about enough, because the media love talking about property prices,” he said. Whereas household income, coming mainly from wages, used to grow by about 6 per cent a year (before allowing for inflation), in recent years it’s grown by less than 3 per cent. Lowe didn’t say it, but what economists see as weak growth in wages, most ordinary mortals perceive as the worsening “cost of living” – which polling shows is now voters’ greatest concern. People are having trouble balancing their own budgets, not because prices generally are soaring, but because their wages aren’t growing a per cent or two faster than prices, the way they used to. Lowe is confident wages will gradually improve, but “if we have another five years where workers don’t get their normal share of productivity growth [that is, if wages don’t return to growing a per cent or so faster than prices each year], we’ll have all sorts of economic, social and political problems”. Gosh. He did have some good news, however. He’s confident employment will continue growing strongly because the rate of job vacancies is higher than it’s ever been. Lowe says there’s more competition between the big banks than we’re told about. Remember a few months ago when they raised their mortgage interest rates by between 0.1 and 0.15 percentage points? That’s what they told the media and what they wrote on their price lists. In truth, however, rates rose by only 0.03 or 0.04 points. Why? Because too many of their customers threatened to take their business elsewhere. With the federal election campaign being fought over which side will do the better job of re-regulating the banks, the energy companies and business generally, big business seems to be going through the stages of grief. It’s reached denial. According to the Australian Financial Review, the Business Council of Australia is most put out that the Morrison government has yielded to pressure from Labor and some Nationals to support a bill making it easier for smaller businesses to take legal action against big businesses. Apparently, Scott Morrison and his lieutenants had the temerity to make the decision without giving the council an opportunity for private lobbying. Which would have been intend to avoid “harmful unintended consequences,” including any possible drag on the economy. Of course. Apparently, it’s just another instance of the growing level of “business bashing” in this campaign. Sorry, guys, you’ve got to have a better argument than that. Accusing your critics of business-bashing or teacher-bashing or bank-bashing is what you say when you haven’t got a defence and are succumbing to a persecution complex. It makes you and your mates feel better, but that’s all. It’s a refusal to accept any responsibility for the bad performance of which people are complaining. Since it’s entirely the fault of others – usually, the government – any attempt to make me and my mates bare our share of responsibility can be explained only by ignorance and malice. Such denial offers big business no way forward. Much better to admit there’s a fair bit of truth to the criticisms and accept that your performance will have to be a lot better. The Business Council needs to admit to itself that this is not some passing phase of populist madness, it’s the end of the line for the “bizonomics” that micro-economic reform degenerated into – the belief that what’s good for big business is good for the economy. The simple truth is that, when you go for years abusing your market power, the electorate eventually wakes up and hits back, threatening to toss out any government that isn’t prepared to set things to rights. Now the scales of economic fundamentalism have fallen from our eyes, who could doubt that big businesses use their superior power – including their ability to afford the best legal advice – to unreasonably impose their will on smaller businesses, just as they impose incomprehensible and utterly non-negotiable terms and conditions on their customers. Like it or lump it. One of the greatest weaknesses of “perfect competition” – the oversimplified model of market behaviour that permeates the thinking of economists, both consciously and unconsciously – is its implicit assumption that the parties to economic transactions are of roughly equal bargaining power. In the era of oligopoly, however – where so many markets are dominated by four or even two huge corporations - nothing could be further from the truth. It’s thus perfectly reasonable for governments to intervene in markets to bolster the bargaining power of the smaller and weaker parties – whether employees permitted to bargain collectively and go on strike, small businesses helped to seek legal redress from much bigger businesses, or customers protected from misleading advertising, high-pressure selling and other abuses. It’s because economists’ thinking is so deeply infected by their model’s unrealistic assumptions that they fell for the notion that merely providing consumers with more information on labels and in “product statements” (quickly sabotaged by being turned into pages of legalese) would protect them from exploitation. Though oligopolies have existed for decades, economists have put remarkably little effort into studying how they work and, more particularly, how they can be regulated to ensure the economies of scale they have been designed to capture are passed through to their customers. The trouble is that oligopolies do all they can to avoid competing on price. A part of this is offering a range of products that are almost impossible to compare with other firms’ products. In the complex, busy world we live in, it’s utterly unrealistic to expect ordinary consumers to devote hours of precious leisure time to checking to see whether their present provider of bank accounts, credit cards, mortgages, mobile phones, electricity, gas and even superannuation is quietly taking advantage of them. This is the case for government regulation to impose standardised comparisons and default products, statutory guarantees, legal obligations to act in the client’s best interests, and much else. The other thing we’ve learnt in recent times – from the banking inquiry and many other examples – is that if businesses large and small are confident they won’t get caught, there’s no certainty they’ll obey the law. You can be sure Scott Morrison and Josh Frydenberg will be boasting about this week’s job figures, which show the jobs market remaining unusually strong. But their critics know not to believe the numbers. The Australian Bureau of Statistics’ figures for January show the seasonally adjusted rate of unemployment steady at 5 per cent – the lowest it has been since the start of the decade. The more reliable “trend” (smoothed) estimate is little different at 5.1 per cent. Sticking with the trend figures, employment has increased by more than 295,000 people over the past year. That’s a rise of 2.4 per cent – a lot bigger than the average annual growth rate over the past 20 years of 2 per cent. Almost three-quarters of those extra jobs were full-time. Full-time employment has been growing particularly strongly in the past few years. Another good indicator of how well the economy is going at providing jobs for those who want to work is the employment ratio – the proportion of everyone in the population aged 15 and over who has a job. It’s steady at 62.4 per cent, the highest it’s been. Just during January, employment increased by 24,900 to reach 12.7 million. That’s an increase of 0.2 per cent, above the monthly average growth rate over the past 20 years of 0.16 per cent. But don’t get the idea this means all of us stayed in our jobs while another 24,900 joined us. That’s just the net increase. There was a lot more coming and going than that. Indeed, the bureau informs us that, each month, about 300,000 people leave employment and about 300,000 enter it. Looking at that strong performance over the past couple of years, what’s not to like? With a federal election coming up, why shouldn’t Morrison and Frydenberg boast about the great job they’ve done on jobs? Well, a lot of their critics would be happy to tell you. They know the official unemployment figures understate the true extent of joblessness. Did you realise, for instance, that the bureau counts you as employed even if you’ve worked for as little as one hour a week? This means that, as well as the 680,000 people counted as being unemployed, there are another 1.1 million people who are under-employed – those who have a part-time job, but want to work more hours a week than they are. Those 1.1 million represent 8.3 per cent of the “labour force” (all those with jobs or looking for jobs). Add that 8.3 per cent to the official unemployment rate and you get a total “labour under-utilisation rate” of 13.3 per cent. This is down from 14 per cent a year ago, with under-employment accounting for just 0.2 percentage points of the fall and unemployment accounting for the rest. So the under-employment rate, which rose in the years after the global financial crisis, has fallen since its peak of 8.8 per cent in early 2017, but much more slowly than the fall in unemployment. That’s the standard critique of the official story: the “true” extent of joblessness is far higher than the official unemployment rate tells us, and when you take account of widespread under-employment you see also that the rate of improvement has been a lot smaller. What are we to make of this criticism? Well, it’s correct factually, but when you look deeper you see it goes to the other extreme of overstating the extent of the problem. Take, for instance, the oft-repeated news that people are counted as unemployed if they work for as little as an hour a week. That’s true, but how many people do work as little as an hour? Make it people working up to three hours a week and you’re still only up to 100,400 people, or 0.8 per cent. In fact, about 97 per cent of workers usually work seven hours or more a week. That’s at least one full shift a week. The point is that you have to draw the dividing line between unemployed and employed somewhere, and by adhering to the longstanding international convention of drawing it at an hour a week, we are not significantly overstating the position. Many people assume the only good job is one that’s full-time. Wrong. Many students, parents and semi-retired people are perfectly happy working only part-time. Further, many people assume that every part-time worker who says they’d like to work more hours is someone who’d rather have a full-time job if only they could find one. That’s wrong, too. Though many would indeed prefer a full-time job, many part-timers want to stay part-time, but wouldn’t mind working a few extra hours. So when you take the unemployment rate (people with no job) and simply add the under-employment rate of 8.3 per cent on to it, you’re exaggerating the number of people working significantly fewer hours than they want to. But let’s take a closer look at under-employment. As the bureau has explained, it is concentrated among the young. More than a third of the under-employed are aged 15 to 24. About 18 per cent of all workers in this age group are under-employed. It seems clear that education-leavers have borne more than their fair share of the pain during the period of below-par growth since the global financial crisis in 2008. Many people leaving university have had to settle for a part-time job and, until quite recently, they’ve taken more months to make it into full-time employment. The latest figures from the universities show their new graduates are now taking less time to find a decent job than they were. But, in any case, caring about the troubles of young people is deeply unfashionable. It’s the well-off elderly we should be worrying about. One thing I hate about elections is the way politicians on both sides seek to advance their careers by appealing to our own self-centredness. I suppose when they know how little we respect them for their principles, they think bribing us is all that’s left. The federal election campaign hasn’t started officially, but already the one issue to arouse any passion is the spectacle of the most well-off among our retired screaming to high heaven over the proposal that, though granted the concession of paying no tax on income from superannuation, they should no longer receive tax refunds as though they were paying it. We teach our children to respect the needs and feelings of others, and to take turns with their toys, but when it comes to politics you just get in there and fight for as much lolly as you can grab. And if my voice is louder and elbows sharper than yours, tough luck. When someone at one of those rallies of the righteous retired had the bad manners to suggest that the saving would be used to increase spending on health and education (and increase the tax cut going to those middle-income families still required to pay tax on their incomes) they were howled down. Health and education? Don’t ask me to pay. You gave me this unbelievably good tax deal, I paid the experts to rearrange my share portfolio so as to fully exploit it, and now you tell me you’ve discovered you can’t afford it and other people’s needs take priority. It so unfair. Meanwhile, at the other end of the income spectrum, Scott Morrison delivered a Closing the Gap report to Parliament last Thursday. It was the 11th report since the practice began, following Kevin Rudd’s National Apology in 2008. Morrison was the fifth prime minister to have delivered the report. The fifth obliged to admit how little progress has been made in achieving the seven targets we set ourselves. The original targets were to halve the gap in child mortality by 2018, to have 95 per cent of all Indigenous four-year-olds enrolled in early childhood education by 2025, to close the gap in school attendance by 2018, to halve the gap in reading and numeracy by 2018, to halve the gap in year 12 attainment by 2020, to halve the gap in employment by 2018, and to close the gap in life expectancy by 2031. As you see, four of the seven targets expired last year. None of them was achieved. They’re being replaced by updated – and more realistic – targets. In his progress report, Morrison was able to say only that two out of the seven targets were on track to be met. The first of these is the goal of having 95 per cent of Indigenous children in early childhood education by 2025. This was achieved in the latest figures, for 2017, with NSW, Victoria, South Australia, Western Australia and the ACT now at 95 per cent or more. The other is halving the gap in year 12 attainment by 2020. Morrison says this is the area of biggest improvement, with the Indigenous proportion jumping by 18 percentage points since 2006. With the key target of life expectancy, the figures show some improvement for Indigenous people from birth, but associate professor Nicholas Biddle, of the Centre for Aboriginal Economic Policy Research at the Australian National University, warns that the figures are dodgy. So why have we been doing so badly? Biddle and a colleague argue that the original targets were so ambitious they couldn’t have been achieved without radically different policies, not the business-as-usual policies that transpired. That’s one way to put it. It’s common for politicians to announce grand targets that make a splash on the day, without wondering too hard about how or whether their successors will achieve them. And no one was more prone to such “hubris” (Morrison’s word) than Kevin07. A second reason, they say, is that successive governments’ policy actions haven’t always matched their stated policy goals. Their employment target, for instance, hasn’t been helped by the present government’s abolition of its key Indigenous job creation program, the community development employment project. Then there’s the present government’s soft-target approach to limiting the growth in government spending, which has involved repeated cuts to the Indigenous affairs budget, particularly in Tony Abbott’s first budget. The most significant Indigenous policy initiative in ages, the Northern Territory Intervention – which preceded Closing the Gap, but has been continued by governments of both colours – may have directly widened health and school attendance gaps. As well as disempowering Aboriginal people in the territory, the immense amount of money and policy attention devoted to the Intervention “could have been better spent elsewhere”. Third, they say, measures intended to achieve the targets have rarely been subject to careful evaluation and adjustment. Morrison professes to have learnt these lessons. But, the authors say, if his “refreshed” approach “does not put resources – and the power to direct them – into Indigenous hands, the prospects for closing socio-economic gaps are likely to remain distant”. As the banking royal commission finishes, the aged care royal commission begins investigating the mistreatment of old people by – taking a wild guess – mainly the for-profit providers. Surely it won’t be long before the politicians, responding to the public’s shock and outrage, are swearing to really toughen up the regulation of aged care facilities. It’s not hard to see we’ve passed the point of “peak deregulation” and governments will now be busy responding to the electorate’s demands for tighter regulation of an ever-growing list of industries found to have abused the trust of economic reformers past. But having gone for several decades under-regulating many industries and employers, there’s a high risk we’ll now swing to the opposite extreme of over-regulation. That could happen if politicians simply respond to populist pressures to wield the big stick against greedy business people. It could happen if politicians yield to one of the great temptations of our spin-doctoring age: caring more about being seen to be acting decisively than whether those actions actually do much good. And it could happen if our econocrats refuse to admit the shortcomings of their earlier advocacy of deregulation – including their naive confidence that the power of market forces would ensure businesses treated their customers well – and go into a sulk, washing their hands of responsibility for what happens next. His first principle is that, since almost all the misconduct he uncovered was already unlawful, there’s no need for a raft of legislation to make them doubly illegal. The problem is more getting people to obey the existing law. Blindingly obvious? Not to a politician who wants to be seen by an angry but uncomprehending public to be acting immediately and decisively. On the rare occasions when Australia is touched by a terrorist act, we see Parliament recalled to pass urgent legislation making terrorism quintuplely illegal. Hayne’s second principle is that compliance will be increased by making the law simpler, rather than more complex, so no one can be in any doubt about what’s required of them. The more complex and voluminous you make the law, the more scope you give well-resourced offenders to pay lawyers to find loopholes and argue the toss and string out court proceedings. In the process, increasing the cost to taxpayers of bringing them to justice, increasing the likelihood of them getting off and increasing the reluctance of the regulators to take them on in the first place. Hayne says the whole body of law needs to be rewritten to simplify and clarify the legislators’ intentions. In the meantime, however, some changes should be made more quickly. One is to get rid of exceptions, carve-outs and qualifications. Examples are the “grandfathering” (leaving existing arrangements unaffected by new rules) of certain commissions, and the exclusion of funeral insurance from rules affecting other insurance. As two law professors from the University of Melbourne have pointed out, the rule of law requires like cases to be treated alike. To make exceptions you need powerful arguments – which haven’t been made. “Instead,” they say, “exceptions and carve-outs reflect the lobbying of powerful industry groups concerned to preserve their own self-interest.” True. There’s no principle of deregulation that says it’s OK to look after your mates. In highlighting the shortcomings of existing legislation, Hayne stressed that “where possible, conflicts of interest and conflicts between duty and interest [such as not acting in the best interests of your client] should be removed”. But his final guiding principle is that existing laws must be enforced. “Too often, financial services entities that broke the law were not properly held to account. Misconduct will be deterred only if entities believe that misconduct will be detected, denounced and justly punished,” he said. Just so. And it raises a mode of response to the electorate’s wider discontents, as governments set out on the path of “re-regulating” industries other than financial services: regulations may need improving, but we don’t need a lot more of them. No, what we need a lot more of is regulators doing – and being seen to be doing – their job of enforcing existing regulations with vigour and effectiveness, and governments being unstinting in providing them with resources. Every so often the economies of the developed world malfunction, behaving in ways the economists’ theory says they shouldn’t. Economists fall to arguing among themselves about the causes of the breakdown and what should be done. We’re in such a period now. It’s called “secular stagnation” and it’s characterised by weak growth – in the economy, in consumer spending, in business investment and in productivity improvement. This is accompanied by low price inflation and wage growth, and low real interest rates. Let me warn you: the last time the advanced economies went haywire, it took the world’s economists about a decade to decide why their policies of managing the macro economy were no longer working and to reach consensus around a new policy approach. That was in the mid-1970s, when the first OPEC oil-price shock brought to a head the problem of “stagflation” – high unemployment combined with high inflation – a problem the prevailing Keynesian orthodoxy said you couldn’t have. The Keynesians’ “Phillips curve” said unemployment and inflation were logical opposites. If you had a lot of one, you wouldn’t have much of the other. The developed world’s econocrats lost faith in Keynesianism and flirted with Milton Friedman’s “monetarism” – which was just a tarted-up version of the “neo-classical” orthodoxy that had prevailed until the Great Depression of the 1930s. That was the previous time the economics profession fell to arguing among itself. Why? Because neo-classical economics said the Depression couldn’t happen, and had no solution to the slump bar the (counter-productive) notion that governments should balance their budgets. It was John Maynard Keynes who, in his book The General Theory, published in 1936, explained what was wrong with neo-classical macro-economics, explained how the Depression had happened and advocated a solution: if the private sector wasn’t generating sufficient demand, the government should take its place by borrowing and spending. In the period after World War II, almost all economists – and econocrats – became Keynesians. Until the advent of stagflation. Notice a pattern? We start out with neo-classical thinking, then dump it for Keynesianism when it can’t explain the Depression. Then, when Keynesianism can’t explain stagflation, we dump it and revert to neo-classicism. Enter Dr Mike Keating, a former top econocrat, who thinks the present crisis of stagnation means it’s time to dump neo-classicism and revert to Keynesianism. Why do economists have rival theories and keep flipping between them? Because neither theory can explain every development in the economy, but both contain large elements of truth. So it’s not so much a question of which theory is right, more a question of which is best at explaining and solving our present problem, as opposed to our last big problem. I think there’s much to be said for this more eclectic, horses-for-courses approach. There’s no one right model. Rather, economists have a host of different models in their toolbox, and should pull out of the box the model that best fits the particular problem they’re dealing with. And much is to be said for Keating’s argument that we need a different economic strategy to help us into the 21st century. Got a problem with stagnation? The tradesman you need to call is Keynes. Although the rich economies are in a lot better shape than they were during the Depression – mainly because, in the global financial crisis of 2008, governments knew to apply Keynesian stimulus - Keating sees similarities between the two periods of economic and economists’ dysfunction. In this context, the key difference between the rival theories is their differing approaches to supply and demand. Neo-classical economics assumes the action is always on the supply side. Something called Say’s Law tells us supply creates its own demand, so get supply right and demand will look after itself. The modern incarnation of this is “the three Ps”. In the end, economic growth is determined by the economy’s potential capacity to produce goods and services, and our “potential” growth rate is determined by the growth in population, participation and productivity improvement (with the last being the most important). By contrast, Keynesianism is about fixing the problem Say’s Law says we can never have: deficient demand. Insufficient demand was what kept us trapped in the Depression. Keating argues the fundamental cause of our present stagnation is deficient demand, and the solution is to get demand moving again. Back in the stagflation of the 1970s, however, the problem wasn’t deficient demand. It was the supply side of the economy’s inability to produce all the goods and services people were demanding, thus generating much inflation pressure. After realising that Friedman’s targeting of the money supply didn’t work, the rich world’s eventual solution to the problem was what we in Australia called “micro-economic reform” – reduced protection and government regulation of industries, so as to increase competition within industries and spur greater productive efficiency and productivity improvement, thus increasing our rate of “potential” growth. Keating – who, with another bloke of the same name, played a big part in making those early reforms – insists they worked well and left us with a more flexible, less inflation-prone economy. True. By now, however, assuming you can fix a problem of deficient demand by chasing greater competition and improved productivity just shows you haven’t understood the deeper causes of the problem. But when Keating advocates a new economic strategy of demand management, he doesn’t just mean governments borrowing and spending a lot of money now to give demand a short-term boost. He mainly means a new kind of micro reform that, by increasing the income going to those likely to spend a higher proportion of it, and by lifting our education and training performance to help workers cope with new technology, ensures demand strengthens and stays strong in the years to come. In the dim distant past, politicians got themselves elected by showing us a Vision of Australia’s future that was brighter and more alluring than their opponent’s. These days the pollies prefer a more negative approach, pointing to the daunting problems we face and warning that, in such uncertain times, switching to the other guy would be far too risky. We’ve gone from “I’m much better than him” to “if you think I’m bad, he’d be worse”. Maybe they simply lack any vision of the future beyond advancing their own careers. Management-types tell us we should conduct “SWOT analysis” – considering our strengths and weaknesses, opportunities and threats. But we’ve become mesmerised by the threats and incapable of seeing the opportunities. Such a pessimistic mindset is crippling us when we could be going from strength to strength. Take climate change. It, of course, is a threat – to our climate, and hence to our comfort and our economy – but think a bit more about it and you realise that, for a country like ours, it’s also a new gravy train we could be climbing aboard. The stumbling block is that responding to climate change requires change – and no one likes change, especially those who earn their living from the present way of doing things. So, what more natural reaction than to resist change? Economists are always warning politicians not to try “picking winners”. In reality, they’re far more likely to resist change by spending lots of money trying to prop up losers. Start by denying that change is necessary. Global warming isn’t happening, it’s just a conspiracy by scientists angling for more research funds. Nothing new about heatwaves, bushfires, droughts, floods and cyclones – they’ve always existed. They’re becoming bigger and more frequent? Just your imagination. What you’re not imagining is the ever-higher cost of electricity. But that’s just because those ideologues imposed a carbon tax and are making us subsidise renewable energy. Get rid of the taxes and subsidies and the cost falls back to what it was. And those terrible wind turbines. They’re unnatural and unsightly, they kill rare birds and their noise endangers farmers’ health. Renewable energy is unreliable because it depends on the wind blowing or the sun shining. You need coal for steady supply. With the greater reliance on renewables, where do you think the blackouts are coming from? And renewable energy is so expensive. Coal-fired electricity is much cheaper. Plus, we’ve got all our chips stacked on coal. We’re world experts at open-cut coal mining. Our coal is much higher quality than most other countries'. Coal provides jobs for 30,000 workers. There are towns desperate for jobs who’d just love another coal mine. And, of course, we’ve still got huge reserves of the stuff that’s of no value if it stays in the ground. Some of these claims have always been untrue, some are no longer true and some are less true than they were. Just this week, for instance, a report from the independent Grattan Institute has debunked the claim that “outages” are being caused by renewables, saying more than 97 per cent of outage hours can be traced to problems with the local poles and wires that transport power to businesses and homes. While it’s true that power from existing coal-fired generators is dirt cheap, many of these are old and close to the end of their useful lives. They’re not being replaced by new coal generators because there’s too much risk that the demand for coal-fired power will dry up before the generators have returned the money invested in them. The latest report from the CSIRO says the lowest-cost power from a newly built facility is now produced by solar and wind. The cost of solar, battery storage and, to a lesser extent, wind power, has fallen dramatically over this decade, partly because of advances in technology but mainly because of economies of scale as China and many other countries jump on the bandwagon. These falls are likely to continue. This has gone so far that the old arguments about the need for a price on carbon and subsidies for renewables are being overtaken by events. Installation of renewable generation is proceeding apace, with all renewables’ share of generation in the national electricity market jumping from 16 per cent to 21 per cent, just over the year to December, according to Green Energy Markets. So, as the economist Professor Frank Jotzo, of the Australian National University, has said, coal is on the way out. The only question is how soon it happens. According to our present way of looking at it, this is disastrous news. But not if we see it as more an opportunity than a threat. Professor Ross Garnaut, of the University of Melbourne, has said that “nowhere in the developed world are solar and wind resources together so abundant as in the west-facing coasts and peninsulas of southern Australia. “Play our cards right, and Australia’s exceptionally rich endowment per person in renewable energy resources makes us a low-cost location for energy supply in a low-carbon world economy. In the wake of the Hayne report on financial misconduct, many are asking whether the banks have really learned their lesson, whether their culture will change and how long it will take. Sorry, that’s just the smaller half of the problem. You can’t answer those questions until you know whether the politicians and their economic advisers have learned their lesson and whether their culture will change. Why? Because the game won’t change unless the banks believe it has changed, and that will depend on whether governments (of both colours) and their regulators keep saying and doing things that remind the banks and others on the financial-sector gravy train that the behaviour of the past will no longer go undetected and unpunished. One of Commissioner Hayne’s most significant findings was that almost all the misbehaviour he uncovered was already illegal. Which raises an obvious query: in that case, why did so much of it happen? Hayne’s answer was “greed”. That’s true enough, but doesn’t tell us much. Greed has been part of the human condition since before we descended from the trees. But greed has been channelled and held in check by other factors – particularly by social norms that disapprove of it and find ways to censure people who aggrandise themselves are the expense of others. In old times, social ostracism was enough. So, since banks and other financial outfits haven’t always been willing to exploit their customers the way they have recent decades, the question is: what changed? One explanation is that the economy’s become a bigger, more complex, more impersonal place, where the exploiter and the exploited don’t know each other. Where the exploitation is carried out by four of the biggest, most sprawling and intricate computer systems in the country. Where I can spend my obscenely large pay cheque without seeing the faces of the people I’ve ripped off flashing before my eyes. Indeed, in my suburb, all of us get huge pay cheques. And I don’t feel guilty; some of them get much bigger cheques than me. But another part of the explanation must surely be that things started changing after the triumph of “economic rationalism”, the introduction of microeconomic reform, and the deregulation of the financial sector in the second half of the 1980s. In the highly regulated world, there was less scope and less incentive to mistreat customers. Competition was limited and there was little innovation. Deregulation was intended to spur competition between the banks and give customers a better deal. I’m not saying bank deregulation was a bad idea. It did bring innovation (we forget that banking and bill-paying are infinitely more convenient than they were) and you no longer have to live in a good suburb to get a loan from a bank. And the banks do compete far more fiercely than they used to. It's just that they compete not on price (as the reformers assumed they would) but on market share and which of the big four achieves the biggest profit increase. In this they’ve behaved just as you’d expect oligopolists to behave. In the meantime, economic rationalism sanctified greed (the “invisible hand” tells us the market leaves us better off because of the greed of the butcher and the baker) and economists invented euphemisms such as “self-interest” and “the profit motive”. Then, after economists got the bright idea of using bonuses and share options to align management’s interests with shareholders’, big business elevated “shareholder value” to being companies' sole statutory obligation. Now, however, when Hayne says the banks gave priority to sales and profits over their customers’ interests, everyone’s rolling around in horror. And politicians and econocrats are feigning surprise that financial regulators, long given a nod and wink to dispense only “light” regulation of the players (and denied the funding to give them any hope of successful prosecutions), did just as they were told. Unless the econocrats and their political masters are willing to accept the naivety that marred bank deregulation, the harm ultimately done to bank customers – ranging from petty theft to life-changing loss – and the system’s susceptibility to political corruption, the banks’ culture won’t change because the will to change it won't last. The existing prohibitions on mistreatment of customers need to be made more effective, as proposed by Hayne but, above all, the law needs to be policed with vigour – including adequately resourced court proceedings – so the banks realise they have no choice but to change. Rather than merely acknowledging that the next move in interest rates is as likely to be down as up, I think the Reserve Bank should get on with cutting them. But not for the reason you may imagine. There are plenty of people – many of them in the media – silly enough to believe a fall in interest rates is always good, and a rise always bad. They have a mortgage-centred view of the universe. They forget that lower rates are bad news for people living off their savings – or saving for a home deposit. More particularly, they forget that central banks use interest rates to keep the economy on an even keel. Judged the conventional way, central banks cut interest rates when they judge the economy to be weak or weakening. So, even for those with mortgages, a cut in rates is no reason to celebrate. They’ll be paying less interest, sure, but only because, in the econocrats’ judgement, there’s now a greater risk they’ll lose their job, be put on a short working week, or go for year or two without a pay rise. Is that what you’re hoping for? I’m not. Nor do I think it’s our certain fate. The biggest risk we face is talking ourselves into a downturn – for no better reason than it would be something new to talk about. Telling ourselves that a fall in house prices – something we’ve experienced many times before and lived to tell the tale – is the start of an avalanche. Or, when Reserve Bank governor Dr Philip Lowe moves from saying the next move in rates is up, to saying the chances are evenly balanced between up and down, leaping to the conclusion he’s really saying a cut is imminent. It isn’t. It isn’t because, as he made plain in a speech on Wednesday – and reiterated in the statement on monetary policy on Friday – he remains confident the economy has slowed a bit, but no worse. His revised forecast is for the economy to grow by an above-trend 3 per cent this year. He also said that “what we are seeing looks to be a manageable adjustment in the housing market”. So a rate cut isn’t imminent. According to Lowe, a cut would require “a sustained increase in the unemployment rate”. Which, judged by conventional standards, is good news. It means he believes the economy will continue plugging on. But my point is different. Lowe is pursuing a conventional, business-as-usual approach to managing the economy because he assumes nothing fundamental has changed. His conventional thinking is that it’s weak wage growth that’s driving the economy’s relative stagnation. It hasn’t occurred to him it’s the other way round: the economy’s stagnation is the cause of weak wage growth. I think it’s clear the phenomenon of “secular (that is, long-lasting) stagnation” – exceptionally low inflation, low wage growth, low real interest rates, low business investment, low productivity improvement and low economic growth – applies to our economy as well as to the United States and the other advanced economies. Every symptom on that list applies to us (bar the long-past mining investment boom). And stagnation isn’t a bad way to describe our position, where growth over the 10 financial years since the global financial crisis has averaged less than 2.6 per cent a year and only one year (2011-12) has been above trend. One thing that’s become clear in America and other advanced economies is that secular stagnation – the causes of which economists are still debating – has caused conventional estimates of the NAIRU (“non-accelerating-inflation rate of unemployment” – the lowest rate to which unemployment can fall before wage and price inflation begin to worsen) to be far too high. In those countries, unemployment has fallen well below where the NAIRU (sounds a bit like the island) was thought to be, without any sign of price inflation or excessive wage growth. The same can be said of us. The Reserve estimates our NAIRU to be “about 5 per cent”. Our actual unemployment rate has been at 5 per cent or so for some months, while the latest reading for underlying inflation is 1.75 per cent and for the wage price index is 2.2 per cent. So, we’re at the supposed NAIRU without the slightest sign of inflation pressure. Indeed, underlying inflation has been below the 2 to 3 per cent target range since the end of 2015, and Lowe is forecasting it won’t get up into the target range until the end of next year. This suggests that, in our newly stagnant world, the true NAIRU is a lot lower: 4.5 per cent, maybe 4 per cent. And since, as Lowe reminds us, the RBA’s objectives include “delivering on full employment”, he should be trying harder to get unemployment down to the true NAIRU. How? By using the one instrument available to him: cutting interest rates to loosen a monetary policy that’s tighter than it needs to be. Until recently, Lowe’s best reason for not lowering rates was a desire to avoid adding fuel to the boom in house prices (“asset-price inflation”). But now that constraint has lifted, there’s no reason to hesitate. You could argue that, with households already so loaded with debt, a rate cut may not do much to boost consumer spending. But it probably would lower the dollar, which would improve our industries’ price competitiveness internationally, encouraging them to hire more workers. We’ve got little to lose. If you think the banking royal commission’s damning report means you’ll never again be overcharged or otherwise mistreated by a bank, you’re being a bit naive. If you’re hoping to witness leading bankers being dragged off to chokey, you’ll be waiting a while. But if you think that, once the dust has settled, we’ll find little has changed, you haven’t been paying attention. I think we’ll look back on this week and see it as the start of the era of re-regulation of the economy. The time it became clear our politicians were no longer willing to give big business an easy ride, to assume it would only ever act in the best interests of its customers and that nothing should ever be done to displease the big end of town, for fear this would damage the economy. And I’m talking about a lot more than banking, superannuation and insurance. Many other industries have been treating their customers or employees badly, and they too will find governments getting tough with wrongdoers. Why the change of heart? Because, in so many cases, the 30-year experiment with deregulation, privatisation and outsourcing is now seen to have ended badly. Recent years have revealed many businesses breaking the law while government regulatory bodies fail to bring them to justice: firms paying their employees less than their legal entitlements, firms taking advantage of foreign students and others on temporary work visas, private providers of vocational education inducing youngsters to sign up for inappropriate courses, irrigators illegally extracting water from the Murray-Darling river system, private inspectors certifying high-rise apartment blocks later found to be seriously defective, and many more. Big business may have power and money, but customers and employees have votes. And when voters experience mistreatment at the hand of business – or just read about the mistreatment of others – they tend to blame the politicians, who were supposed to ensure such things happened only rarely. Commissioner Kenneth Hayne has found that almost all the misbehaviour by banks and other institutions he uncovered was already illegal. He makes the point that “the primary responsibility for misconduct in the financial services industry lies with the entities concerned and those who managed and controlled those entities”. But, he adds, “too often, financial services entities that broke the law were not properly held to account. And when the Australian community realises this hasn’t happened, who does it blame? Who does it seek most to punish? The government of the day. Even though the genesis of the policy problem lies in decisions made by governments long gone. Do you see now why the worm has turned on deregulation? Former Labor and Coalition governments’ naive faith that “market forces” would oblige businesses to do the right thing has proved badly misplaced. In their scramble for higher profits and pay, seemingly respectable businesses have taken advantage of their greater freedom, knowingly breaking the law whenever they thought they wouldn’t be caught. And now the chickens have come home, who’s most at risk of losing their jobs? Not the bosses of offending businesses, not the regulators asleep at the wheel, but the government of the day. That’s the rough justice of democracies. Voters hit out at those they have the power to hit – those they elect. It was business that had the fun, but it’s politicians in most immediate danger of paying the price. Do you really think they’ll be going easy on their former business mates who’ve been dudding them behind their backs? But what’s a threat to the government is an opportunity for the opposition. Competition between the two parties will ensure the Hayne commission’s recommendations are acted on. And, whichever side wins the election, the next term will see a tightening of the regulation of many industries beside financial services. Commissioner Hayne was highly critical of the two main financial regulators, the Australian Securities and Investment Commission and the Australian Prudential Regulation Authority. Why did they allow so much wrongdoing to get past them? Partly because they succumbed to the ailment threatening all regulators: “capture” by the industry they were supposed to be regulating. They allowed themselves to become too matey with the industry, seeing its point of view more clearly than the interests of its customers. But there’s more to it. During the decades in which politicians and some economists convinced themselves that the more lightly businesses were regulated the better they’d serve the rest of us, the regulatory authorities were left intact more for appearances than function. They soon got the message that their political masters – from either side of politics – wanted them to go easy on business. Both sides went for years reinforcing the message by repeatedly cutting the regulators’ funding. But all that’s changed. The politicians, claiming to be shocked by the regulators’ dereliction, are now pumping in taxpayers’ money as fast as they can go. Life won’t be the same for big business. The economy’s prospects are threatened by various risks from overseas – about which we can do little – and by continuing weakness in wage growth – about which the two sides contesting the May federal election have little desire to talk. In his major economic speech last week, Scott Morrison gave wages only a passing mention: “by focusing on delivering a strong economy we create the right environment for wages growth, which we are now beginning to see, and more will follow”. Actually, you need a microscope to see any improvement. The microscope shows that most of it is explained by the Fair Work Commission’s hefty 3.5 per cent increase in minimum wage rates last June. Not, however, that Bill Shorten has had a lot more than Morrison to say about the causes and cure of weak wage growth. Presumably, Shorten fears that anything he says about changes to wage fixing will be used to feed yet another scare campaign about him being a patsy for a union takeover. Two or three years ago, I was happy to entertain the view still publicly espoused by the Reserve Bank (and still happily hidden behind by Morrison) that the wage problem was simply cyclical: wages are taking longer than expected to recover from the ups and downs of the resources boom but, be patient, they’ll come good soon enough. Sorry, that possible explanation gets harder to believe as each quarter passes without any sign of nominal wage growth moving ahead of weak inflation, so as to give employees their rightful share of the improvement we’ve achieved in the productivity of their labour. No, as years pass without the cycle restoring real wage growth, it becomes easier to believe the problem arises from some deeper issue with the structure of the economy. 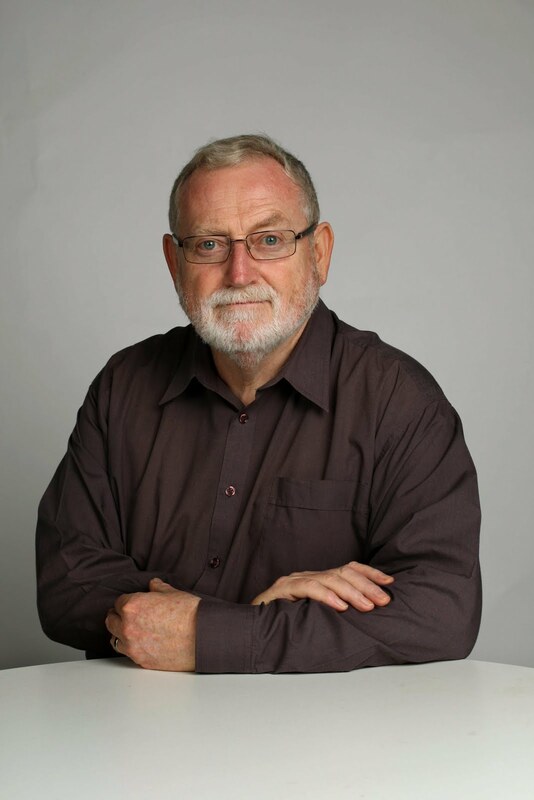 The most popular structural explanation – best espoused by Professor Joe Isaac, an eminent labour economist – is that the “reform” of wage fixing went too far in shifting the balance of industrial bargaining power in favour of employers. Isaac’s various proposals for reforming the reform – including restoring unions’ right of entry to the workplace, reducing the rigmarole before workers can strike, and restoring permission for industry-wide bargaining – would no doubt have crossed Labor’s mind for serious consideration should it win the election. But another noted labour economist, former top econocrat Dr Mike Keating, has his doubts. He says he has no great objection to Isaac’s wage-fixing reforms, but doubts they’ll get wages moving because the structural problem is much deeper. As argued in detail in his book with Professor Stephen Bell, Fair Share, and many articles and blogs, Keating sees our wages problem in the much broader context of the malaise of “secular stagnation” that’s been gripping the US and other advanced economies for at least a decade. Keating reminds us that wage growth has been weak in most of the advanced economies for several decades, accompanied by rising inequality. The distribution of earnings (that is, wages, rather than income from all sources) has become more unequal, Keating argues, mainly because of technological change and, to a lesser extent, globalisation. Technological change has been “skill-biased”, with strong growth in high-skilled employment, and reasonable growth in unskilled jobs, but a decline in middle-level jobs, where routine jobs are being done by computers. The result is a change in the structure of employment, one which increases earnings inequality. If so, it’s not a problem that could be fixed by higher wage-rates. Keating says we’ve been slow in Australia to see what’s increasingly been realised overseas and by the international economic agencies: income inequality is bad for economic growth (mainly because the high-paid save rather than spend a higher proportion of their incomes). But Keating’s more fundamental policy response to the problem of technology-driven weak wage growth and increased inequality is enhanced education and training, to help workers adjust to the challenges posed by new technologies, as well as spur the adoption of those technologies. He’d give priority to early childhood learning and life-long learning through the TAFE system. He's happy to note this would require us to pay more tax rather than less – another thought the pollies don’t want us thinking about right now.